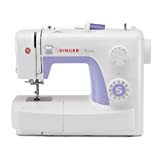 Founded in 1851, SINGER is one of the world’s leading sellers of consumer and artisan sewing machines, and one of the world’s most trusted and recognizable brands. The company has a long history of innovation, having produced, among other breakthroughs, one of the world’s portable machine, one of the first zigzag machine and one of the first computer-controlled machine. 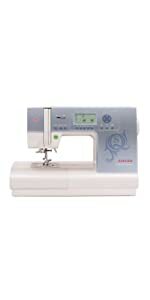 Thanks to the its powerful motor, you have extra high sewing speed to save you time. 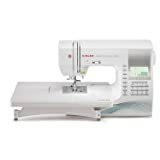 With Adjustable Presser Foot Pressure, you can also sew very lightweight sheers, and the stainless-steel bed-plate allows fabrics to glide over the machine with ease. Create original costumes, sew personalized fashions or transform your home with new decorative pillows and curtains. 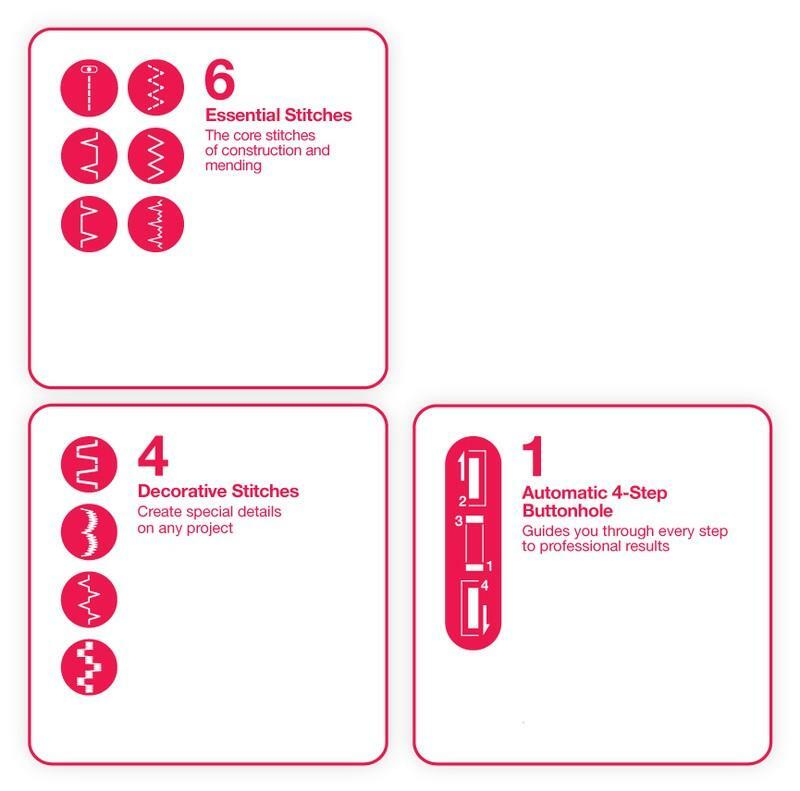 Among the 11 stitches is a four-step buttonhole, so you can make buttonholes with ease on all sorts of fabrics. 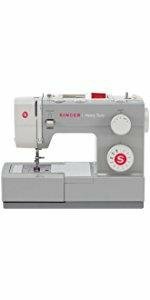 Sewing techniques, help with frequently asked questions about your machine, and tutorials are now all right at your fingertips. 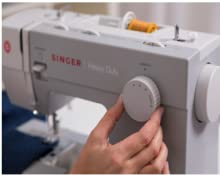 Get started sewing today with the SINGER Sewing Assistant App. Available for download at Google Play store and iTunes. 11 Built-In Stitches - 6 Basic Stitches, 4 Decorative Stitches, 1 Auto Buttonhole—perfect for crafts, home decor, clothing construction and much more. 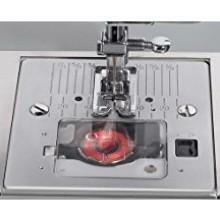 The machine was purchased primarily for sewing denim and canvas. After reading reviews and using other brand machines, I rolled the dice. For the money this is an outstanding machine, I have sewn through folded multi layer seams with no problem. 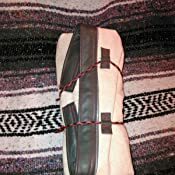 I would strongly encourage purchasing a walking foot if you intend to sew multi layer or light weight material. This purchase began as a challenge, I run an upholstery and boat cover business and this Singer now sits beside a $ 6,000 Chandler industrial machine and there's very little it can't handle. We will let time and use determine its outcome. 4.0 out of 5 starsLove this machine. Great value. Not fancy. 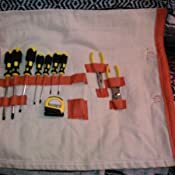 I have a Pfaff quilters machine that died and needs parts. It is going to cost about double the cost of this machine to repair it. So I figured what the heck. 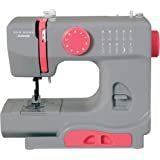 I've been sewing since grade school in the 1960s and have used all sorts of machines. I also worked at a fabric store for a number of years. I have some advice for the beginner. 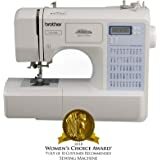 Various reviews of this machine complain about some problems I thought I'd speak to here. This is a nice little machine. Initially even I had trouble with it. Discovered that the threading instruction picture in the instruction book is a bit tricky. Don't forget to thread the little bracket that is above the needle. It is step 7 in the book, but not obvious in the picture and not obvious on the machine. The thread first goes through the fairly obvious metal holder in step six, then it needs to go in that little tiny bracket, a small piece of metal that is laying on top of the needle mount. If you don't thread that, the thread will ball up underneath and mess up your sewing and lock up. I suggest stopping at a Joann Fabrics where they sell this machine and ask someone to show you if you can't find it. that's what I ended up doing. 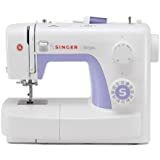 Also for the beginner, Singer machines in particular can also tangle the thread if you don't gently hold the ends at the beginning of a seam. Sometimes, it will pull the thread down into the bobbin area and lock up. This is solved simply by holding the ends for the first couple of stitches. Eventually, after you've had to rip out a few balled up seams, you remember. 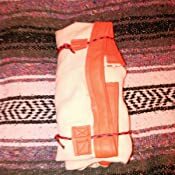 I made a heavy vinyl pouch with it as my first project, and it handled the vinyl really well. The feeddogs struggled a bit with the weight of the fabric, pulling it out of line, so I had to put the weight of the fabric on a chair so it didn't pull. Another tip for the beginner, always stop the machine with the needle in the fabric. You do this by stopping and quickly turning the wheel to get that needle back in the fabric. Another tip here to any new sewer. First take the original needle out of that machine and throw it away. You have no idea what kind of shape it is in. Open the packet of needles that are in the little door in the free arm and use a fresh needle. Sharp needles are critical to any project. And they only stay sharp for a few projects at most. 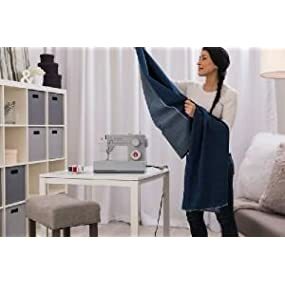 When you are working with heavy fabric like vinyl or denim, you need to use a heavy duty needle, especially if you are going through four layers of denim. Check them out at the fabric store. Get the type of needle that matches your type of fabric. If you are not sure, ask. And sew through the thick parts very slowly, sometimes you may need to manually insert the needle and pull it up to get through a lot of layers properly to get the machine going. Take your time. Knits need different needles, sometimes, a ballpoint needle that passes between fibers instead of splitting them as you sew. Fine fabrics also need different needles and they must be very sharp. 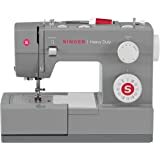 Beyond all that, I liked sewing with this machine. it is relatively quiet, and does sew fast. This will be great for doing piecing for quilts. 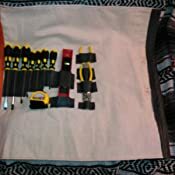 It isn't the quality of my Pfaff, which is all metal (the skin of this machine is plastic) and doesn't have a lot of fancy stitches, but it is a great value for what it does do and does execute well for all I've done so far. 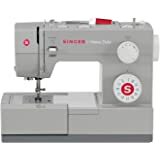 And perfect for a beginner sewer, or someone who only needs a machine once in awhile to hem pants or take care of odd little projects or someone like me who was going through withdrawal when her machine dies and is going to take some time to get fixed. This machine was purchased in October 2016 as a Christmas gift for my Mom. She had been sewing basic stitches for years and has good knowledge of machines and the process. This machine has been nothing but trouble. First the feed dog switch broke. I was able to fix this, now it simple won't run. No particular reason. Just seems to not have power to move the pressure foot. 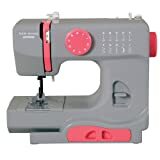 This machine has less then two months of use and all she really sews are hems and shirts for her little dog. It's not like she's a power user. So absolutely disappointed with this machine. 1.0 out of 5 starsTried it twice, both broke in a few months time. I have purchased two machines of this model, and they both broke with the same problem, the timing. They were only a few months old, too. The thread on the reverse side was all gathered and messed up. 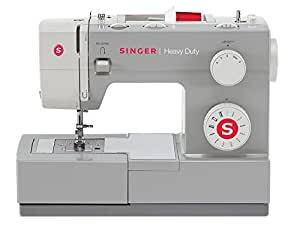 I gave up on Singer and bought a Bother sewing machine. As I was loading up the Singer to discard, I thought I would try YouTube to see if there was a way to fix it. There are videos. I tried the repairs, but the problem persisted. The 4411 model has the feel of a solid machine for the price, but unfortunately, I received two defective ones. Being a novice on a sewing machine I had to study the Q & A's a few times to make the machine work the way it was supposed to work. Once I figured that out, the machine performed up to my expectations and did exactly what a sewing machine was designed to do. I am very pleased with everything except the small needle holes that you have to put the thread through. I'm up in years and was having a hard time, due to poor eyesight, until I took the needle out and put the thread through it and then put the needle back in the machine. Very good buy for the price. I wanted to like this but this was nowhere near the heavy duty that I would have expected. Could not go through fabric layers that my regular machine could do, regardless of needle/thread used. 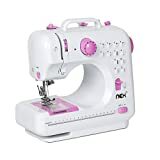 It also had a horrible chemical smell that would give me a headache while I was using it since you have your head quite close to the machine while sewing. 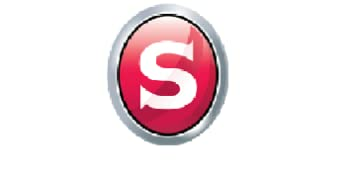 I love Singer, so this was a disappointment. Very pleased. Great price. Still have the supplied needle after sewing through leather and canvas, sometimes many layers thick. 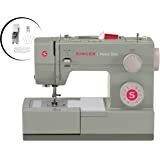 Strong machine and serves me well with guy sewing. 7/8/17 Still using supplied needle and still very pleased.